Mail-Order Pharmacies need a fast and efficient way to apply their patient info labels on prescription bottles. Mail-Order Pharmacies need a fast and efficient way to apply their patient info labels on to prescription bottles. Using operators or even a series of operators to print and hand apply these labels is a very inefficient system and can also lead to human error. The standard method of prescription identification is a single label that wraps entirely around a prescription bottle. These labels are printed with patient info, instructions along with other information. Panther Industries has designed a unique bottle-wrap applicator that specifically addresses concerns for prescription bottles. In today’s world, automation is one of the most straight forward ways for companies to increase efficiency and profitability. Automating the labeling process of curved or rounded products can be very difficult to accomplish. Companies looking to stay on the cutting edge need to look to innovators to meet these challenges. 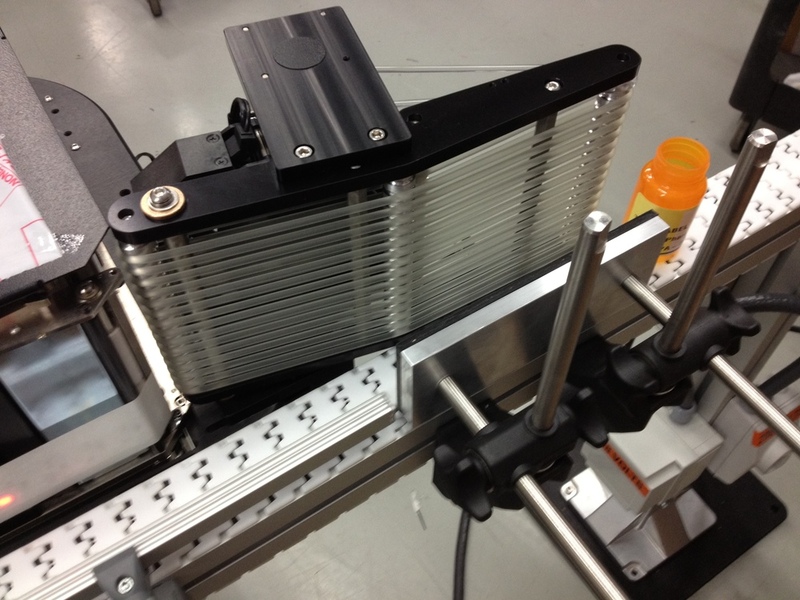 This introduces us to the Panther Industries PharmaWrap label applicator. This revolutionary concept is designed specifically with the Mail-Order Pharmacy in mind. 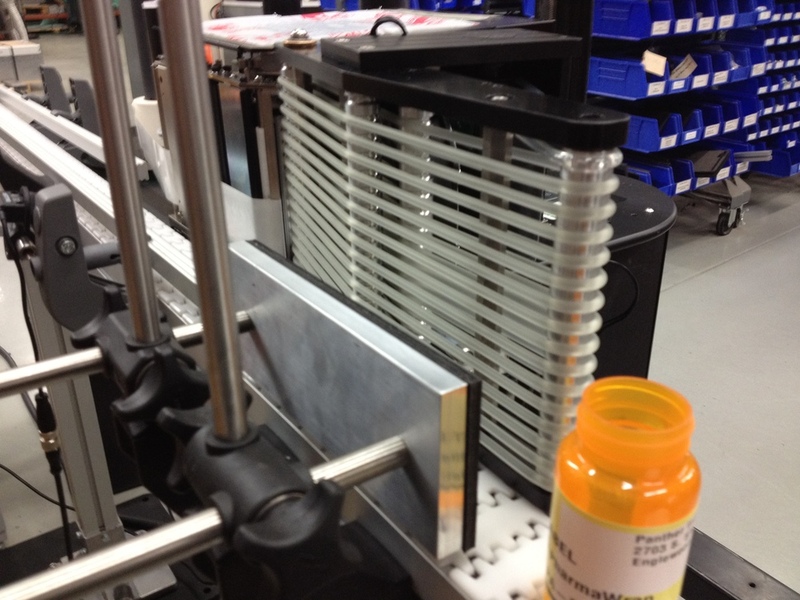 Dispensing labels onto a universally sized bottle with a wrap station allows the applicator to place labels onto bottles that may have minor variance in size, different fill levels or weights. 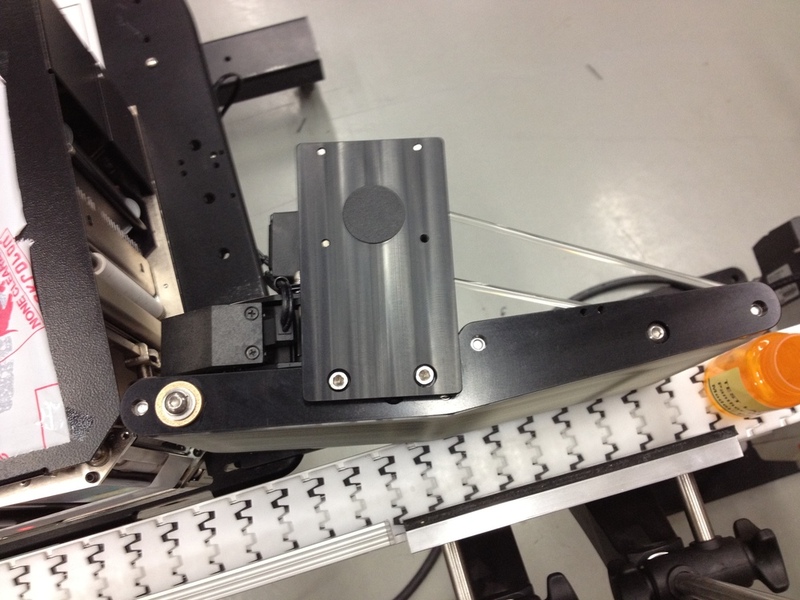 Our uniquely designed bottle wrap applicator also allows increased throughput. Customers using our high through-put PharmaWrap applicator have been able to greatly increase their production speeds and also increase the consistency and quality of the label application. This results in a uniformly more appealing product. By moving to an Panther Industries automated bottle-wrap applicator the customer also gains the benefit of minimizing human interaction and possible related errors.